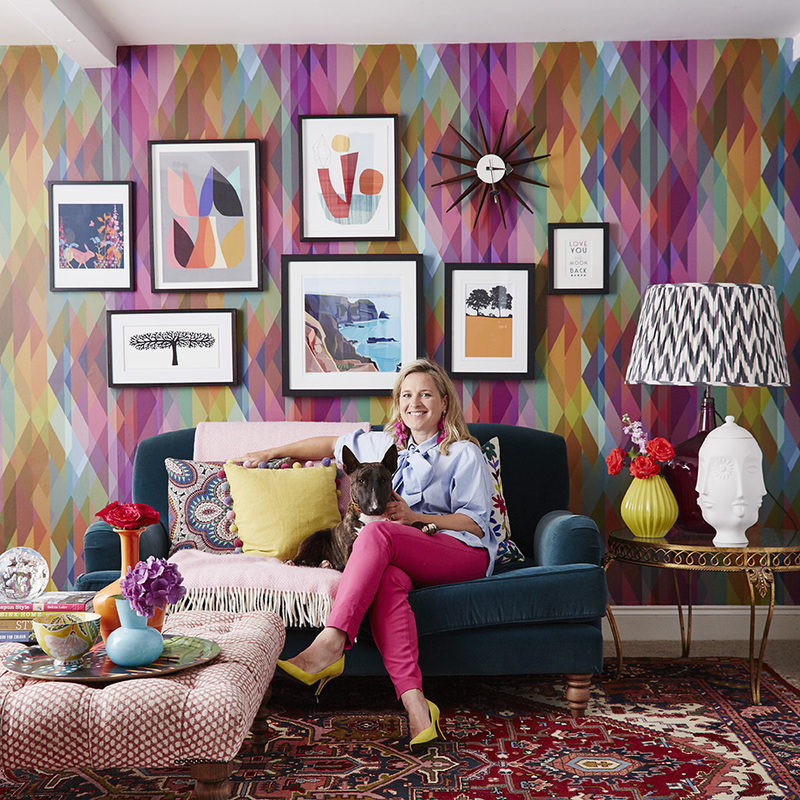 I’m Sophie Robinson, and I’m bonkers for colour, and own far too many cushions! I’ve been lucky enough to eat-sleep-breath all things interior design for over 20 years; working across magazines, TV and some of the top retailers in the country (and I married a builder, so I’m keeping it in the family too). It sounds glamorous, but more often than not its very hard work. Nevertheless it’s a great fun job and I get to work with the most inspiring and creative people in the business. I’ve designed literally thousands of room schemes which has culminated in me being invited to judge the best British emerging design talent on BBC2’s The Great Interior Design Challenge. It’s an honour I absolutely relished as I think great design should be accessible to all. This Blog is my place to share all that I know about creating colourful interiors and what inspires me. You can also follow my own great interior design challenge here as we slowly renovate our Sussex farmhouse in the south of England. So how did I get into this bizz is a question I get asked a lot. First up I’m not an interior designer in the traditional sense. I studied BA Hons 3D Design at Brighton University with early aspirations to be a designer-maker or furniture designer. I learnt woodwork, jewellery, ceramics and metalwork before majoring in plastics, so I have an all round understanding and appreciation of the handmade and continue to be passionate about the design process and nurturing creativity through experimentation. I also love to champion designers, artists and craftspeople as they are what keep this business interesting. My Interior Design career kicked off as an Interior stylist in 2000 at BBC Good Homes magazine were I cut my teeth as a journalist. I was respsonsible for designing the sets for shoots and writing features about home renovation and design. I benefited from an editorial training within one of the worlds most prestigious broadcasting and publishing institutions. Since going freelance I work across many popular titles as well as working on screen for leading UK TV shows including DIY SOS for BBC ONE, The Great Interior Design Challenge for BBC2, This Morning and 60 minute makeover for ITV and lead designer on Cowboy Builders Channel 5. 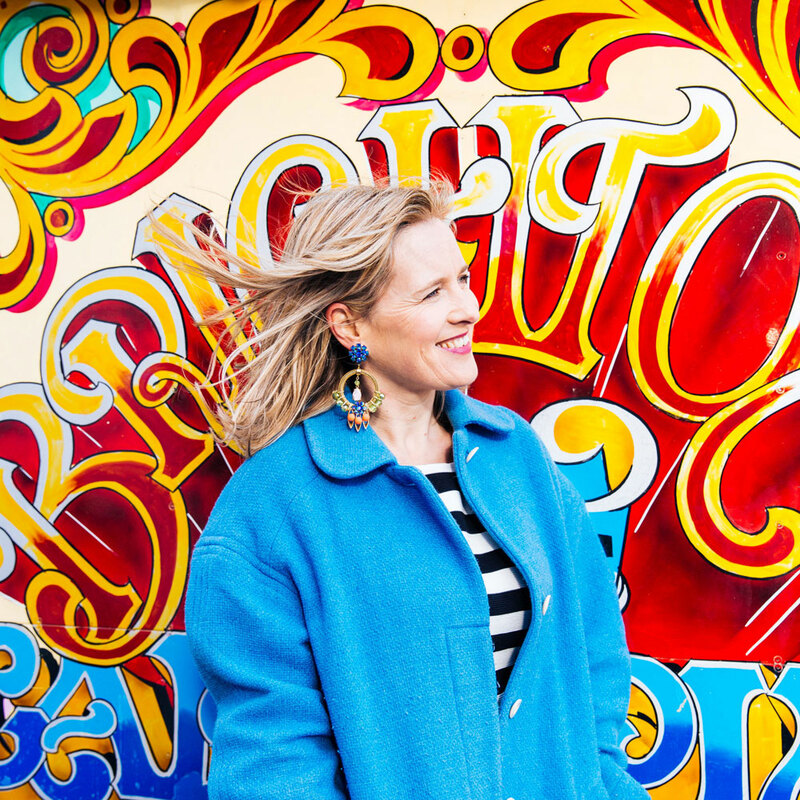 Aside from my day job, I’m wife to Tom who runs a thriving building business, Ark Builders, in our home town of Brighton, on the mostly sunny South coast of England. I’m also Mum to seven year old Arthur and our mini bull terrier Lucy, and being a Mum, the wife of an entrepreneur, and a homemaker is a big part of who I am. We have recently moved to our dream home in the countryside but have our own Grand Designs on our hands. Its the perfect marriage of both mine and my husbands skills and I’ll be sharing every step of the way with you here and over on my Instagram feed MyHouseInTheWoods. My mission is to give you the confidence and inspire you to have a vibrant, fascinating and original home which reflect YOUR personality. My own home is a *random* collection of things I love, which, through experience, I’ve managed to make “hang together”. The result is a home that’s unique and authentic. If this inspires you to get creative with your own space then I hope you’ll love my blog.